Editor’s Note: Wedding season is in full swing, and whether you’re getting hitched, hosting a shower or just celebrating the nuptials of friends, we know the cost of travel, gifts, decor and general wedding revelry can certainly add up. Today, Block Talk guest contributor shows us how to craft DIY wedding flowers for your budget-friendly wedding. Like many brides before me, I had a vision of the “perfect” wedding day in my head, but after doing even just a little bit of planning research I realized that those visions don’t come cheap. My now-husband and I were paying for our wedding ourselves, so we knew we’d have to get creative to craft our dream wedding on our small budget. There are tons of ways to save money while planning your wedding, and one that you’ll hear most often is to do it yourself! 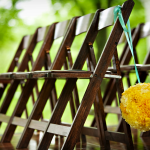 Lots of brides tackle DIY projects for their wedding day in order to save some cash. Not all of us are crafty or have the best glue-gun skills, but if you spend the time to make items yourself it can save you tons of money. One of the biggest budget-busters around is flowers. Fresh flowers can be expensive, especially if they aren’t local to your area or out of season. Although you can save some money by purchasing and arranging the flowers yourself, you’d have to do that the day before or day-of the wedding — which would be uber-stressful, in my opinion. 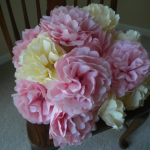 Something that I did for my own wedding was DIY floral arrangements by creating paper flowers for the ceremony décor. I didn’t want to spend a lot of money on the ceremony decorations; I knew our guests wouldn’t be spending as much time there as they would at the reception. 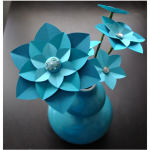 The great thing about paper flowers is that you can get so many different types of papers in a variety of colors to keep them looking somewhat realistic. 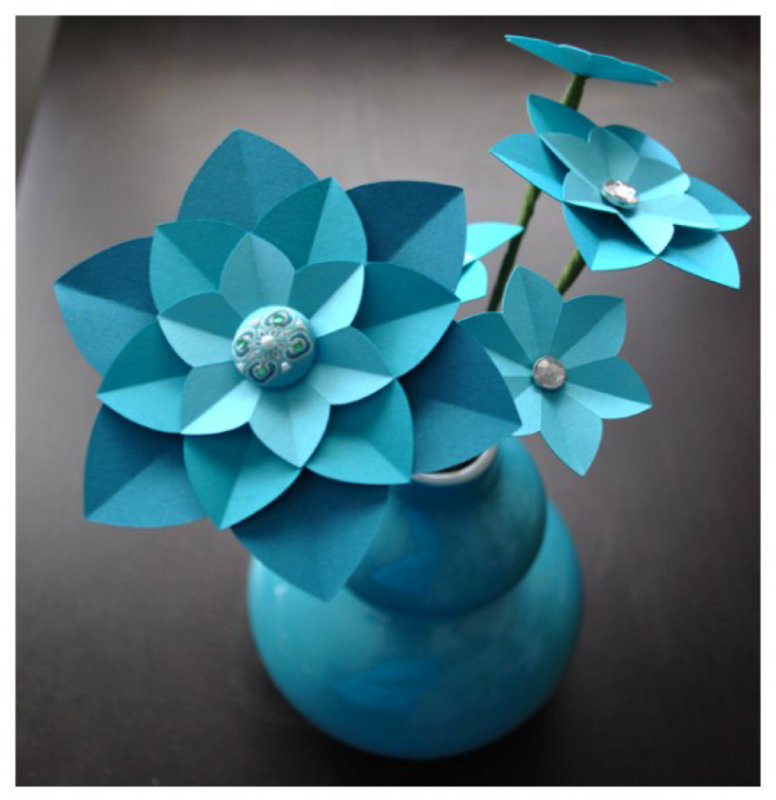 You can make dozens of these folded cardstock flowers with a simple pack of scrapbook paper, some wire, and floral tape! 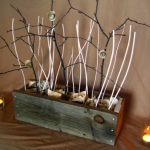 Make enough for your centerpieces for your entire reception for around $20. Going for a rustic chic theme for your wedding? 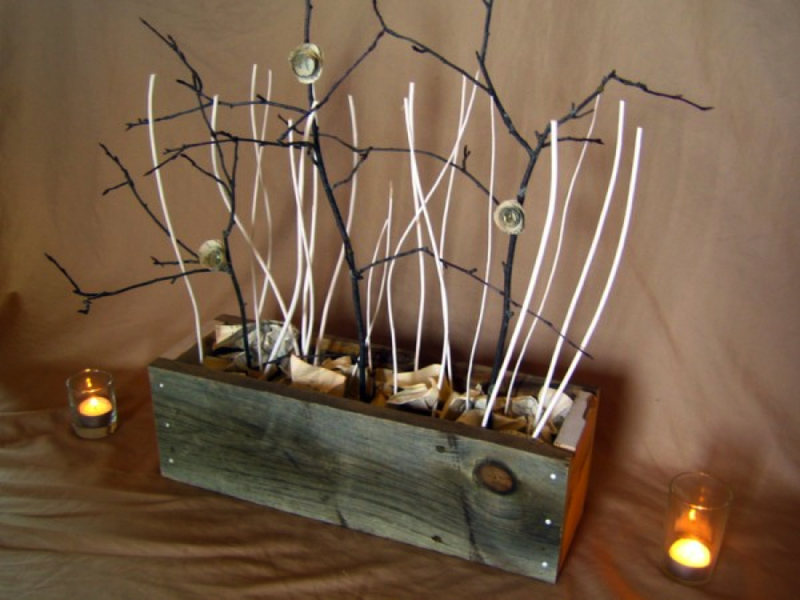 These centerpieces are made of sticks and paper flowers in found wood boxes and cost around $2 each if you can find free used wood to build the boxes! 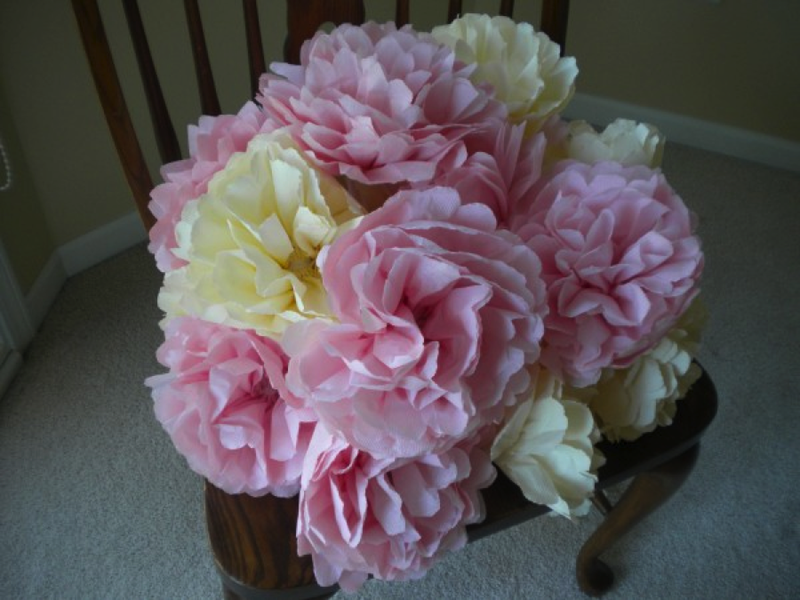 These simple, elegant flower poofs are made out of napkins and are super easy to make. The best part? They work out to just $.17 a flower! Using the same technique as the flower poofs, assemble these tissue paper pomanders by gluing the poofs onto a Styrofoam ball. Bunched tightly together the paper flowers look a lot like real carnations, and cost much much less than the real thing! If you employ the help of family, friends, or even your fiancé if you can easily DIY wedding flowers, you can tackle projects like these months and weeks ahead of time and have them ready to go come wedding day! Be sure to visit our blog, The Budget Savvy Bride for more money-saving DIY projects as well as inspiration from real weddings on a budget! Jessica is the creator of The Budget Savvy Bride, a national award-winning wedding blog. 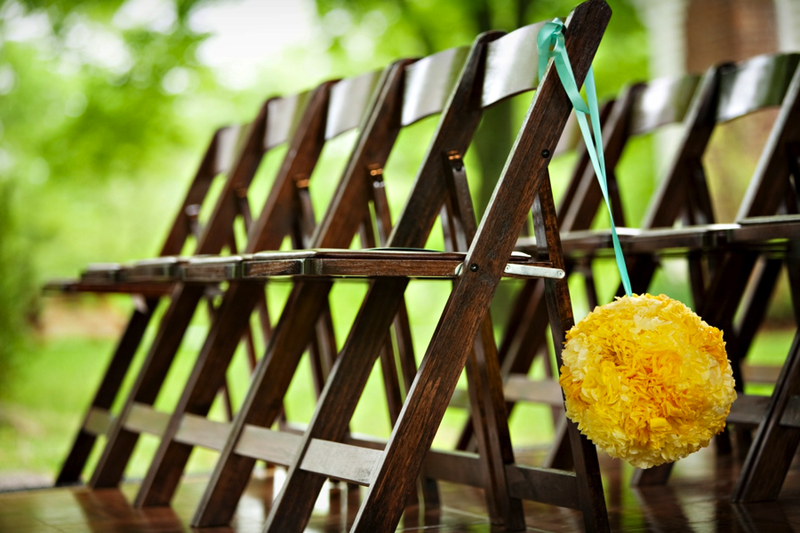 She believes that everyone can have a beautiful wedding, no matter their budget!